Bid and his bandmates making the effort and travelling from London to Salford tonight. The Monochrome Set is one of the UK's most enduring post punk bands formed in the late 70's. Bid and his band mates making the effort and travelling from London to Salford tonight. 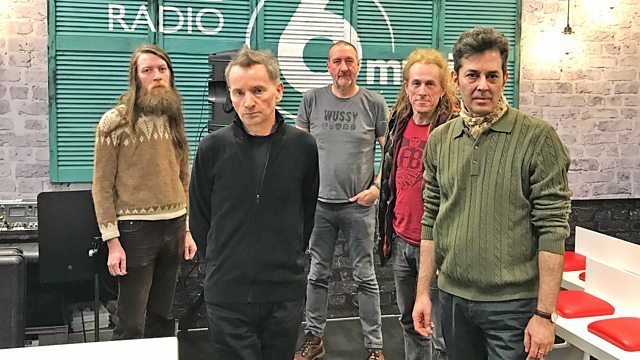 The Monochrome Set is one of the UK's most enduring post punk bands formed in the late 70's. Praise flowed in from 80s contemporaries such as Morrissey and Edwyn Collins. Importantly, in later years this praise has continued with artists such as Franz Ferdinand, The Divine Comedy and Graham Coxon, all citing the band as a key influence on their own work. The band release new single I Feel Fine (Really) and album Maisieworld Feb 9th 2018. Trojan Ska Box Set Volume 2.